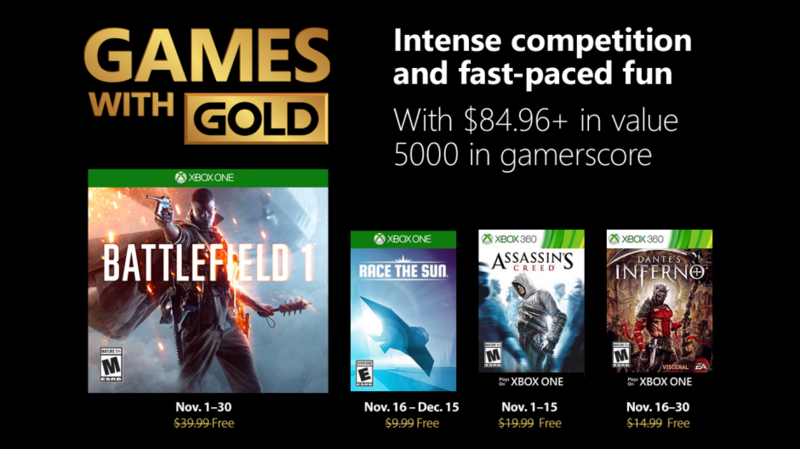 Microsoft announced today November 2018’s lineup for the Xbox Live ‘Games with Gold’ program. The list includes Battlefield 1, Race the Sun, as well as two Xbox 360 backward compatible games, Ubisoft’s Assassin’s Creed (which is rendered at 4K resolution on Xbox One X hardware) and Dante’s Inferno by Visceral Games. Which of these are you most excited about? Let us know in the comments!